Google has been the search engine of choice for many of your burning (and not so burning) questions. Preference for it is so popular, that whenever you ask someone about a topic, they had ask you to Google it. With hundreds of queries made every day, there are times when you may have found the result you wanted, read it, closed it and forgotten about it. Then one day, you may need to retrieve the same page but can not remember the url or how you generated that search result in the first place! To get back the search result you found previously, you may check your browsers history. But if the search was done many days earlier, you may have to start from square one – regoogle it. 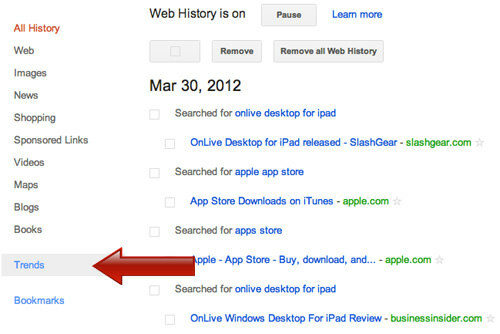 It is easy to retrieve your search history, just head over to the Google History page and log in with your Google ID. Once logged in, you will be presented with your latest activity on Google Search, that includes your search keyword and the pages you visited. On the left column, you have an option to simplify your search history by categories like web, images, news and many more while on the right you can see a calendar for easy navigation so you can specifically check the search query made on a specific date. 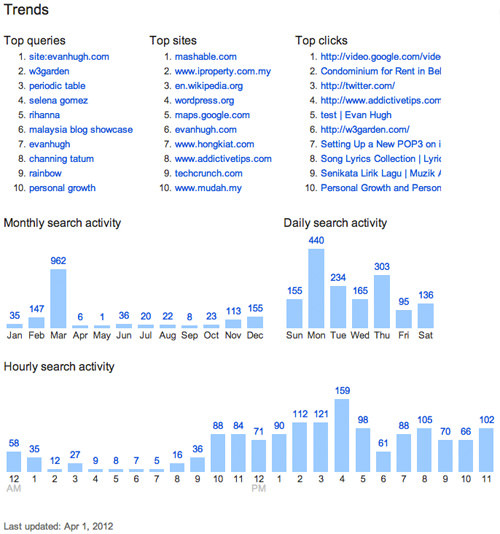 From the trend page, you get to see your search behavior, hourly and monthly, as well as the top queries made on Google. If you like how Google keeps your data and want them to track all of your browsing history even when you do not use Google Search, you need to download Google Toolbar on your browser. Click on the link Expand your web history at the top right corner of the Google History page. If you are using Chrome browser, there will be no toolbar required since all the features were already built in on Chrome. Still have any question please comment here either contact on mention numbers.